How to choose an EMF meter? Which features to look out for and for which you should avoid overpaying? How to use them – user manuals and great videos! Is there a device that measures all types of radiation? Are radiation measurements only needed when there is a significant radiation source nearby? Which radiation values are considered high and where are they usually recorded? What methods of protection are available if you find elevated prices? The last web page you are going to visit before you buy electromagnetic radiation meters! What do radiation meters measure? 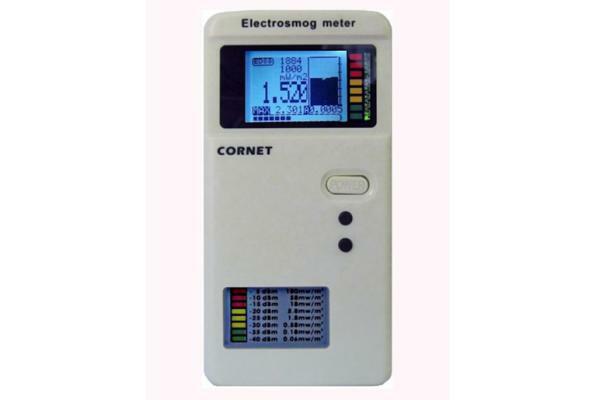 Low frequency radiation meters measure electric and magnetic fields from electrical and electronic devices, power cables and transformers etc. High frequency radiation meters measure electromagnetic fields (radio waves, micro waves etc) from cell phones and cell phone masts, wireless internet, cordless phones, bluetooth devices, alarm systems, microwave ovens, wireless game consoles, TV and radio broadcasting antennas, radars, police communications etc. Where do we usually record elevated electromagnetic fields? Which radiation values are high? 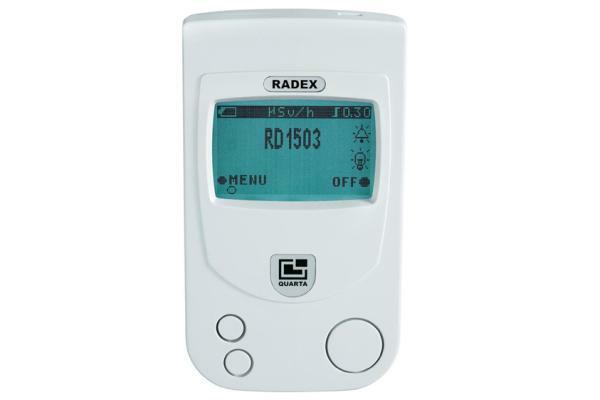 You can read the proposed safe levels of exposure to each type of radiation in our low frequency, high frequency and radioactivity meters guides or in our article about the proposed and legal safe levels of radiation..
How can a radiation meter help me reduce my radiation exposure? You will avoid radiation hotspots (were the limits of safe long-term exposure to high frequency radiation are exceeded) by increasing your distance from the radiation source. You will see if you have achieved low radiation levels in your areas after using electromagnetic shielding materials or implementing other solutions proposed in our radiation reduction tips guide. It is easy to measure electromagnetic fields on my own? 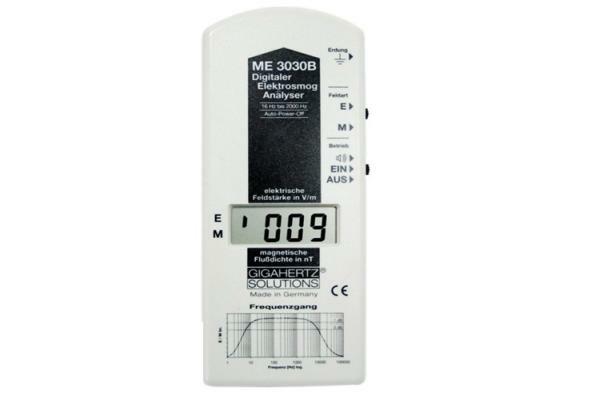 Since radiation measurements have become mainstream the past years, the majority of EMF meters (and all the meters we recommend) are very simple to use and do not require any technical knowledge. How do you choose the meters you recommend? 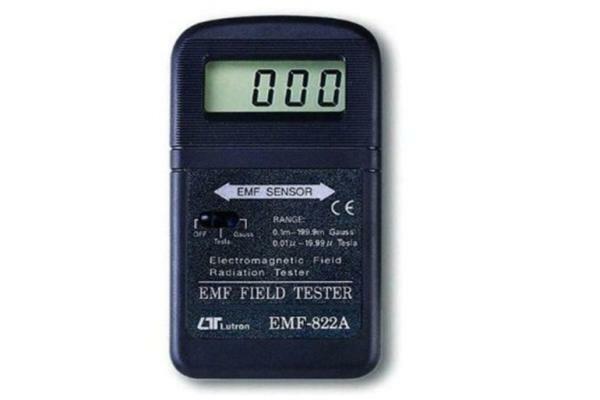 There are dozens EMF meter manufacturers, selling hundreds different EMF meters, from every corner of the world. How did we end up recommending only a few of them? Home Biology is run by engineers who perform electromagnetic radiation measurements for a living. 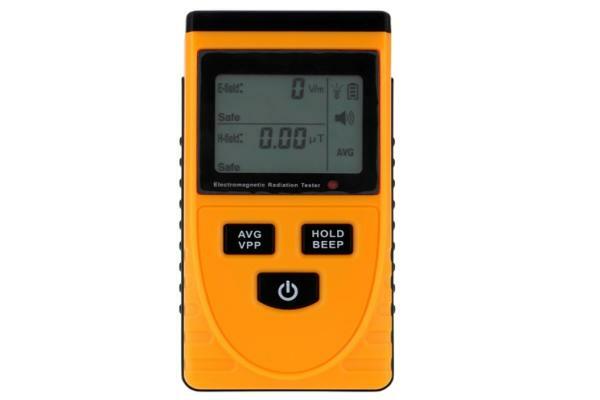 We know what features you to need to look for when buying an EMF meter, so that you can easily and reliably take the necessary measurements, without overspending. We’ve got everything covered! Just read on and choose the meter you like! Does it cover the frequency range of the most common radiation sources? Does it measure even low radiation values so that you can compare them to even the lowest recommend safety limits? Does it measure high enough values so that you can record the radiation from the majority of the high radiation sources? 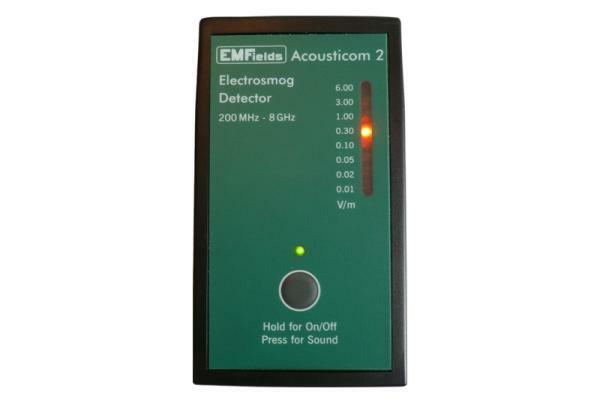 Does it offer the basic features needed to perform an EMF measurement? Does it offer the same features but with a lower price than other similar meters? Is it simple to use, without confusing lights, buttons and directions of use? Does it help you find which radiation sources affect you or were their location is (by using audio signal, directional antenna etc)? Does it come with at least a year of real and binding warranty, so that you can have it replaced or repaired if there is a problem? Is it sold by trusted sellers with good customer service, that can ship the meters worldwide? Does it have easy to read English manuals and/or videos of real use online? Unfortunately most meters in the market do not include one or all of the above basic features. All these above factors are analyzed in our high frequency meter, low frequency meter and radioactivity meter guides. Please read them carefully before you purchase! How can i measure radiation from cell towers, cordless phones, Wi-Fi modems, tablets, smartphones, baby monitors, microwave ovens etc.? 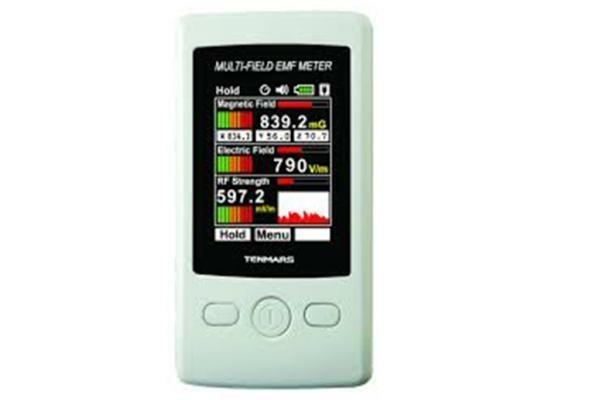 You will need a high frequency (=wireless) radiation meter which measures electromagnetic field power density (in mW/m2 = milliwatts per square meter = 1000 μW/m2 = 1000 uW/m2 = 1000 microwatts per square meter) or high frequency electric field intensity (in V/m), or both. High frequency meters should be able to record radiation in the frequency range 800-2500MHz (at least) which most modern wireless radiation sources emit. Some have an antenna attached that can help you locate the direction fo the radiation, others produce different sounds according to the radiation source, others have both features. Learn more about high frequency radiation meters, sources and safety limits..
How can i measure radiation from power cables, transformers, pylons, electrical devices etc.? You will need a low frequency radiation meter which measures low frequency magnetic and/or electric fields from all wired radiation sources. All wired radiation sources connected to the power network generate electrical alternative current (AC) fields due to electrical voltage. When electrical current flows through the conductors (when there is electricity consumption) AC magnetic fields are also produced. Low frequency meters should be able to record radiation in the frequency range 50-60Hz (at least) which is the main frequencies of electrical grids. Magnetic field meters measure magnetic field flux density in nT (= nano Tesla) or mG (= milli gauss = 100nT). Magnetic fields penetrate unaffected almost all building materials and the most common cause of elevated values ​​are the low voltage power cables, especially in densely populated areas. 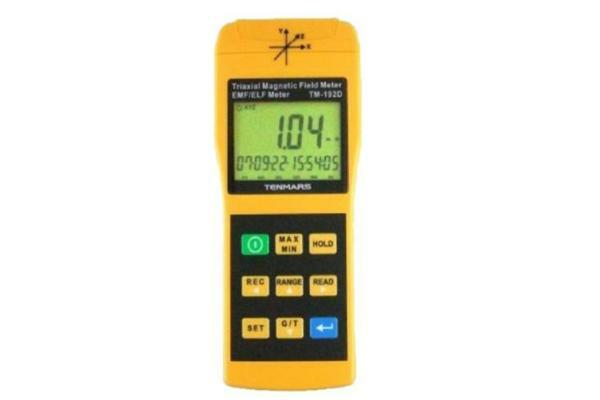 Measuring magnetic fields is, in our opinion, the most important measurment you should take before buying or renting property, because high magnetic fields are difficult and expensive to reduce. 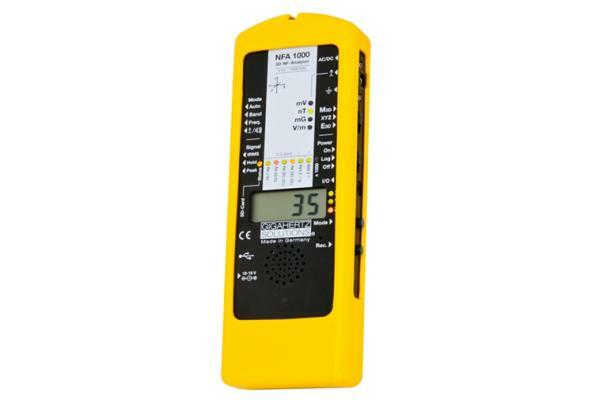 Electric field meters measure electric field density in V/m (= Volt per meter) or Body Voltage in mV (= milli volt). Electric fields are elevated near high voltage cables, but do not enter the interior of the buildings because they are grounded from most building materials (except from glass or wood). Inside the buildings electric fields are produced mainly form the in wall cables anf the electricl appliances that are plugged in. Low frequency electric field measurements are indicated in areas such as bedrooms, where continuous power supply of devices and circuits is not necessary. Also the presence of high electric fields ia probably more aggravated during night sleep. How can i measure radioactivity from building materials, nuclear accidents, medical equipment, radon etc.? 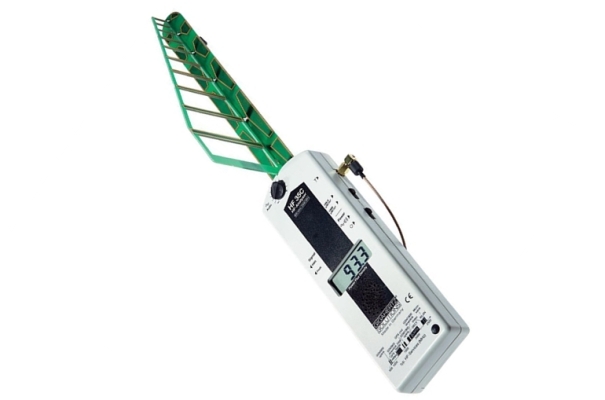 The radioactivity or ionizing radiation meters measure the radiation from radioactive materials (subsoil, food, building materials, tiles, granite counters, nuclear accidents, ionization smoke detectors, medical equipment etc.) and from the radioactive radon gas that is emitted from the soil, enters the buildings from pipes and cracks, accumulates especially in low floors with inadequate ventilation and is the most common source of radioactivity exposure. 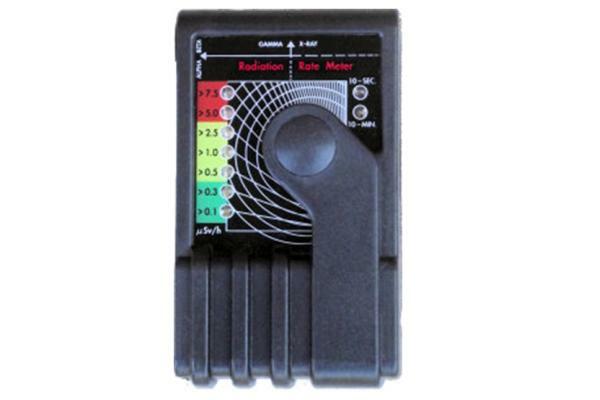 Radioactivity meters usually contain a Geiger - Muller tube which records the effective dose rate of radioactivity in μSv/h ( = uSv/hr = micro sivert per hour) from building materials (granite etc. ), nuclear accidents, medical equipment etc. 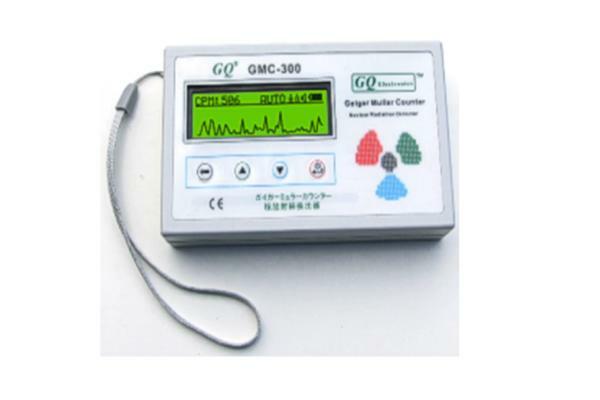 Most Geiger counters measure only gamma radiation, some additionaly measure X-rays and beta particles. They usually cannot measure alpha particles which are emmited by radon. The radioactive radon gas is emitted from the soil, is the main source of population exposure to radioactivity, and is listed as a proven carcinogen by the Wolrd Health Organization. 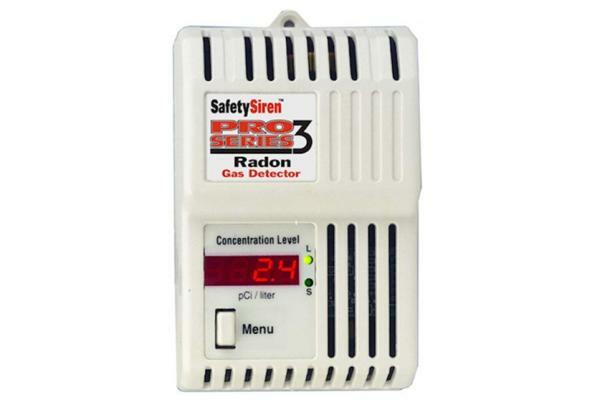 Radon meters measure the concentration of radon per cubic meter (in Bq / m3), were Bq = Becquerel = the number of radioactive disintegrations per second. How can I measure geopathic radiation? Geopathic fields are non artificial fields believed to be emitted from the earth. These are separated into water, Ley, Hartmann, Curry lines etc. Their existence today is disputed and / or considered insignificant in relation to strong electromagnetic fields from modern artificial radiation sources (antennas, transformers, cables, etc.). Also, there is yet to be found a scientific commonly accepted way of measuring them. To identify them the main way used is still dowsing by people who have the ability to feel ethereal or earthy fields (radiaesthesis). Some research has been done on the subject (Betz, Hans D .: Journal of Scientific Exploration 8: 436, 1994, Recent results on water dowsing / Maes W: Radiästheten im Test. Wohnung und Gesundheit 58; 1991) and our personal experience (the writer of this article is a certified Geobiological Consultant by the German Institut Geo-Baubiologie) makes us believe that this method gives very subjective results. Some claim that they measure geopathic fields with the use of geomagnetometers, however this measurement, especially indoors, detects static fields from steel pipe lines, reinforcement, bed springs and is not related to earthly energies. Is there a meter that measures all types of radiation? 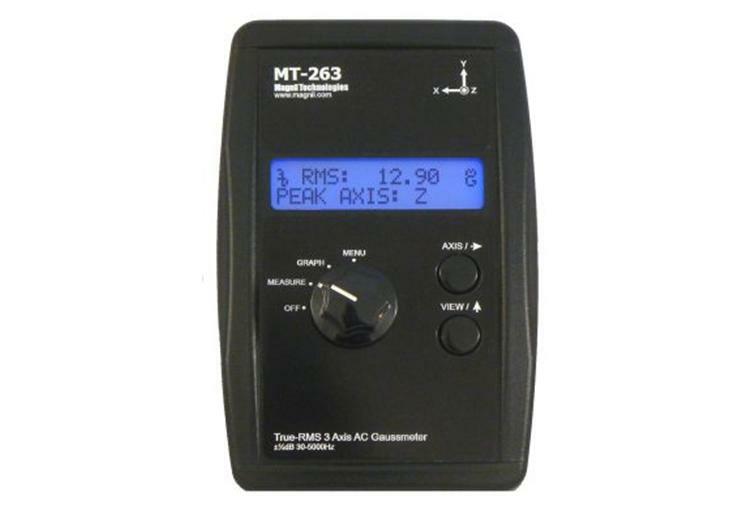 These are called combination meters and their main advantages is that you only need one to carry around for your basic emf measurements and they usually cost a lot less compared to buying 2-3 different meters to do the same measurements. On the other hand combination meters tend not to perform well in all types of measurements. Some times their performance in specific measurements is really terrible, so try to read their specifications and our comments in the comparison tables before you decide to buy one of them. Read more about combination meters, their advantages and disadvantages..
Why should i measure the electromagnetic fields in my home or workplace? The continuous increase of modern day electromagnetic pollution (=electrosmog) makes radiation measurements more relevant and necessary than ever, especially for the most vulnerable population groups (pregnant women, children, elderly and ill people). Measurements of the invisible electromagnetic fields is the only way to determine if the areas where you spend most of your time exceed the proposed limits exposure to artificial radiation due to the presence of visible and invisible radiation sources (mobile phone masts, cordless telephones, and modem-router Wi- Fi, electrical appliances, cables, pylons, transformers etc.). By measuring electromagnetic fields you can significantly reduce your daily electromagnetic burden, by identifying and avoiding electromagnetic hotspots and in many other ways which are detailed in the Home Biology EMF reduction guide. Are EMF measurements only needed when there is a significant radiation source nearby? The high levels of radiation in a space is not only related to the proximity of visible external radiation source but also to the presence of radiation sources that you have no visible contact with or known sources that most people do not suspect as significant fields emitters. For example wireless devices you or your neighbors use (such as cordless phones and Wi-Fi modems) often expose you to higher radiation values than neighboring cell phone masts due to shorter distance and indoor transmission. Similarly, statistics indicate that the most common cause of elevated magnetic fields are the low voltage distribution cables that bring electricity to our homes and not the high voltage power transmission cables. amateur radio antennas, radio networks for police, taxis, logistic and security companies, radars in airports, ports, military, meteorological etc. Which population groups should definitely check their areas for high electromagnetic fields? Pregnant women and children, because their increased exposure to electromagnetic radiation can have irreversible effects on mental development of minors, according to some scientists. For patients or those with unexplained health symptoms, because long-term exposure to a variety of artificial radiation is related to the development of wide range of health symptoms. Basic magnetic field meters which can measure only in one direction at a time. Some of the meters presented also measure electric fields (single axis). The cheapest single axis magnetic field meter with analogue display! 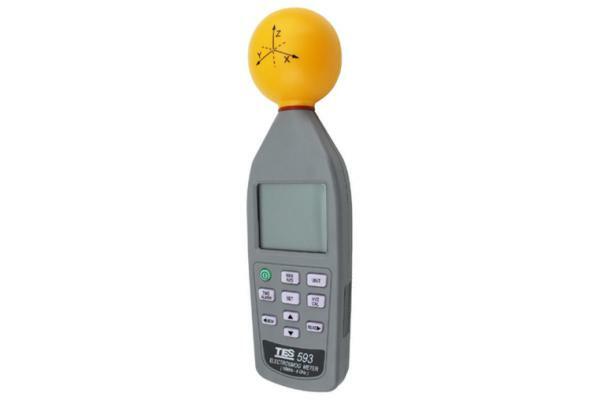 The cheapest single axis magnetic field meter with digital display! The cheapest single axis magnetic and electric field meter! Basic device for single axis low frequency magnetic which also offers 2 ways of electric field measurements. 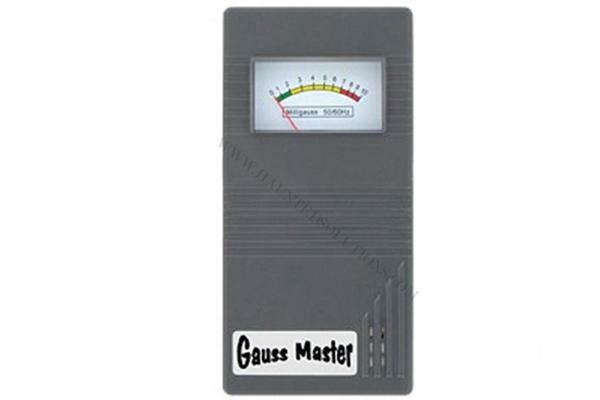 This meter allows you to perform electric field measurements also connected to ground potential (which some guidelines such as TCO suggest in order to obtain reliable, reproducible testing results). The cheapest single axis magnetic and electric field meter which also measures high frequency (wireless) electromagnetic fields! According to the WILA Bonn report though, another Cornet meter, the ED78S, greatly exaggerates its high frequency range and accuracy. Also, measurement values are dependent on how meter is held and sometimes show extreme underestimation of exposure levels at higher signal strengths..
Advanced magnetic field meters which calculate directly the total three-dimensional value and are very easy to use. Again, some of the meters presented also measure electric fields (single axis). The cheapest triple axis magnetic field meter with analogue display! Can be recalibrated for $50. 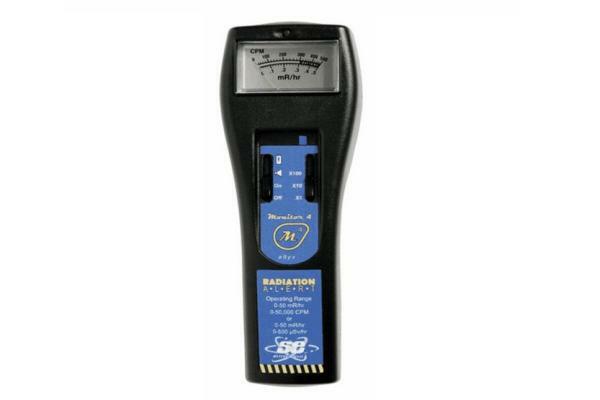 Magniie uses digital calibration methods that don't drift with normal operation, so typically recalibration isn't necessary unless the unit has been damage. Similar to the Magnii 263 with extra analysis of dirty electricity and harmonics. Allows you to isolate or ignore power line frequencies at 50 (Europe) or 60 Hz (North America) or measure non-power line related fields without distortion from power line fields (including harmonics) or accurately measure power line fields without any distortion from other field sources. Not sure if you need all of these though. 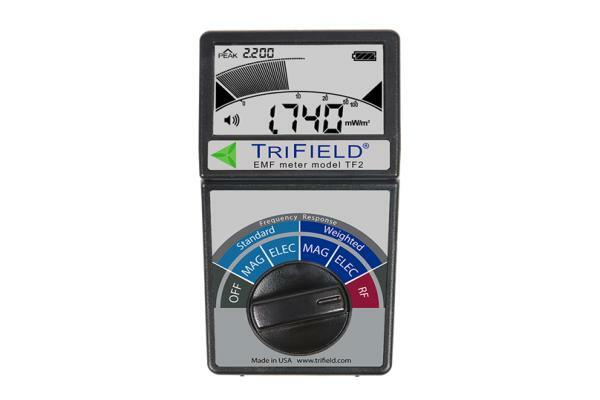 The new Trifield meter is a cheap combination meter (Triple axis low frequency magnetic – Single axis low frequency electric – Single axis high frequency electromagnetic). Unlike the previous Trifield models (100XE etc) which were worthless for high frequency measurements (they only detected vey high radiation values), the new TF2 has good sensitivity. Also the new Trifield meter has now a digital display. Triple axis meters which can store magnetic field measurements and calculate the average level of exposure at the end of the measurement session. Some of the meters presented also measure electric fields (single or triple axis!). Our recommendation for low frequency measurements! Cheapest triple axis meter with data logging and PC software! The PC software requires installation and is not good as the Gigahertz NFA software though. 20 mG ±(3.0%+30dgt) at 50Hz/60Hz. Best choice for the triple axis magnetic fields measurements. Includes a 4GB memory card and the “no installation needed”, simple to use software NFAsoft which is in our opinion the best for datalogging and analyzing the results. Similar to the NFA30M but also offers single axis electric field measurements. Our top recommendation for low frequency measurements! 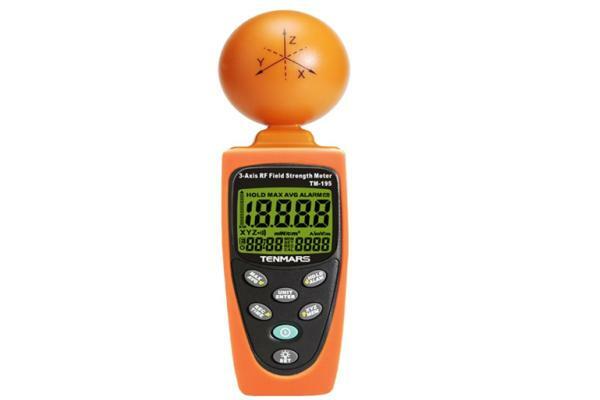 The only triple axis magnetic field meter which also offers triple axis electric field measurements in that price range. Low cost meters from various manufacturers with basic functions. Also, their small size makes them easier to carry around. Very simple to use device that does not give a precise measurement but has 8 LED lights that correspond to different radiation levels and are easy to interpret. Recommended if you do not want to get confused with numbers and measurement units. Also measures low frequency electric and magnetic fields (single axis, 50-10000Hz, 0.1-600mG, 10-1000V/m). 8 LED lights used for quick RF signal level indications + moving bargraph showing signal changes over the last 32 readings. According to the WILA Bonn report the LED lights of another Cornet meter, the ED78S,were confusing as they showed "All clear" green light at 4000μW/m2 which is considered very from high from Building Biology perspective..
You can choose a calibration factor according to the frequency of the source (serves to calibrate the result display). Is a useless feature if you are not sure what the source is. Basic device with analogue display that covers a very wide frequency range. Does not detect very low levels of radiation. 50- 10000 (with decreased response up to 18Ghz=18000MHz). 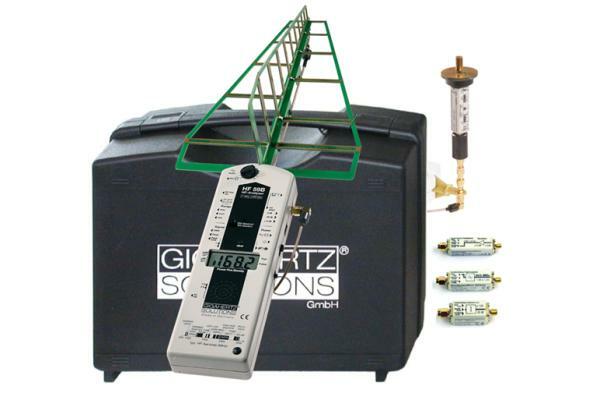 High quality Gigahertz meters with directional and/or isotropic antennas for easy and reliable identification and measurement of wireless radiation sources! German technology in an affordable price. Best device in this price range with a directional antenna for locating radiation sources. Single axis but directional - Helps you find where the radiation comes from! 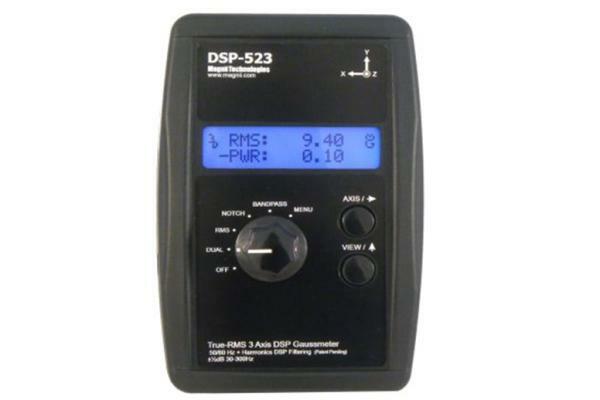 Similar to HF32D but with audio signal analysis for recognizing different radiation sources. 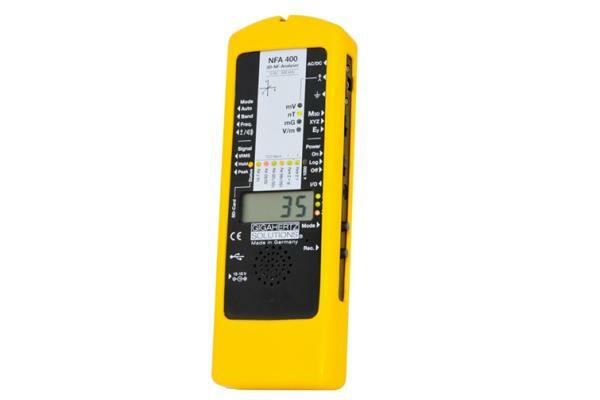 Similar to HF35C but with a wider measurement range + "peak-hold" function. Also it's antenna has improved directionality and resistance against ground influence. 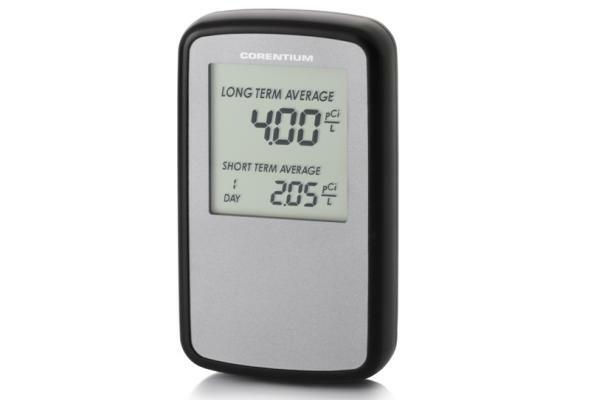 Combines the best features for locating, recognizing and measuring radiation sources. 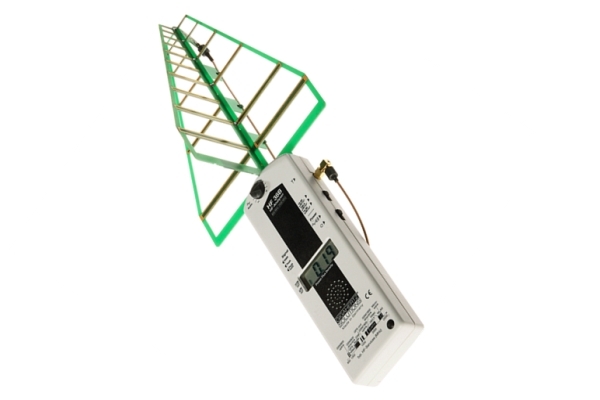 Contains the HF35C device with a directional antenna which helps you find where the radiation comes from and an omnidirectional antenna which extends the measured frequency range and helps get more accurate radiation readings. Reliable German technology. 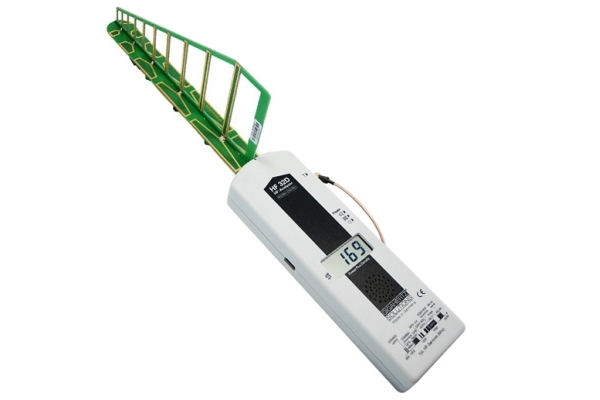 Contains a directional antenna which helps you find where the radiation comes from and an omnidirectional antenna which extends the measured frequency range and helps get more accurate radiation readings. Gigahertz plastic transport case K5 (approx. 27 x 18 x 8 cm) with foam filler inserts - INCLUDED! The best model for professional or amateur use! Reliable German technology. Contains the HF59B device with a directional and omnidirectional antenna. 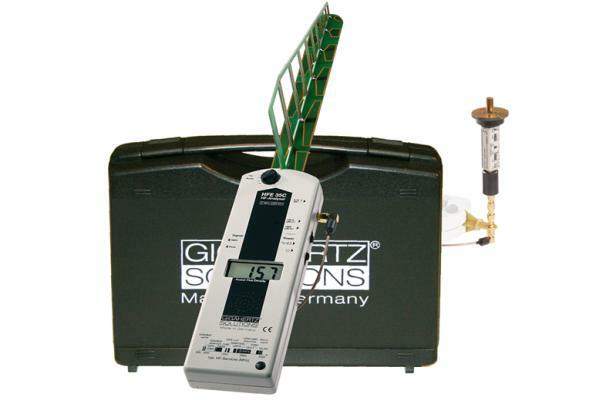 Compared to the cheaper Gigahertz models, HFE59B offers many advanced features. A quantitative differentiation between pulsed and un-pulsed radiation + Rechargeable battery pack with a battery charger + LEDs for monitoring the function of the antenna + 800 MHz high pass filter HP800_G3 for the suppression of low frequencies when measuring with the directional antenna + High frequency preamplifier HV10_27G3 and attenuator DG20_G10 which increase the measurement range + Audio output for PC (sound card) / headphones / spectrum analyzer + Big Gigahertz plastic transport case with formed foam filler inserts which fits at least two devices with antenna. 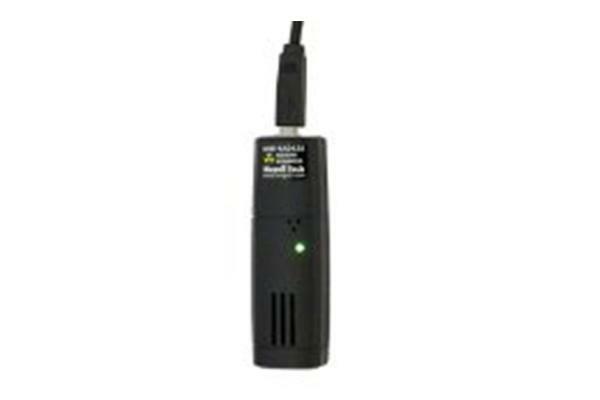 Data logging available by connecting to the Gigahertz NFA1000 or NFA400. Data can be transferred to PC showing analytic charts, minimum, maximum and average exposure + other features. Gigahertz plastic transport case K2 (approx. 33 x 27 x 16 cm) with formed foam filler inserts (fits two devices with antenna) INCLUDED! They measure all 3 basic types of manmade radiation (low frequency magnetic fields, low frequency electric fields, high frequency electromagnetic fields). They are cheap compared to buying multiple meters, practical and handy. Simple, Reliable and Affordable Geiger counter. Russian tech company Quarta-Rad has more than 20 years of experience in developing radiation detection technology for consumers and government agencies. Other Radex models have been tested by the Japanese Consumer Protection Agency and were rated on par in accuracy with professional scientific measuring stations that cost over 2000 dollars! Cheap device for radiation detection and monitoring. It can continually monitor the radiation and log the data each second into internal memory. When connected to a PC, software can download the radiation history data to the computer and the user is able to analyze those data later. Also, very portable, since the internal rechargeable battery can be charged with the supplied wall adapter or with the car adapter for the cigarette lighter. Radiation detector that runs completely off your computer's USB port. Classic geiger counter click and light pulse for every count registered. Radiation levels are displayed on the computer. RadGraph software interface displays and graphs readings over time, and even allows the readings to be streamed to a personal webpage. No batteries or external power required. Must be connected to computer to work, not a stand alone device. Yes, software allows monitoring of BETA and GAMMA radiation levels right away and shows graphically how the levels are changing over time. Very simple to use Geiger counter that does not give a precise measurement but has 7 LED lights that correspond to different radiation levels (from green = 0 to red = greater than 7.5 micro-sieverts per hour) and are easy to interpret. Recommended if you do not want to get confused with numbers and measurement units. 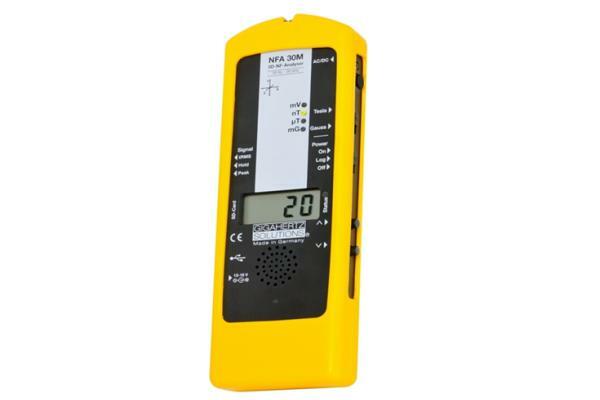 Easy to use, great general purpose radiation detector for a wide array of applications. Analog display! Geiger–Muller tube, Mica window 1.5-2.0 mg/cm2 thick - diameter 9.1 mm (0.36 in.). Yes, down to 2.5 MeV; typical detection efficiency at 3.6 MeV is greater than 80%. The SEI Inspector USB features large detection window, built in isotope efficiencies, data collection, great sensitivity, backlit display, timer, digital readout, red LED count light and audible tone. Includes padded vinyl case. Nice! Geiger–Muller tube, Mica window, 1.4-2.0 mg/cm2 areal density - diameter 45 mm (1.77 in.). Yes, down to 0.16 MeV; typical detection efficiency at 1 MeV is approx. 25%. Can store measurements by using the Observer Software which is sold for 99$. The Observer Software runs on a Windows platform and can be used with the Inspector to record Counts, CPM, and CPS and has the ability to collect, log, and perform statistical analysis on the data received. The data is displayed on a graph as well as digital and analog on-screen meters and can be saved or printed in various ways including a spreadsheet format. The on-screen meters in the software have adjustable settings as well as a settable alarm in CPM. There are both visual and audio indicators, and you can play the meter click through your PC speakers. Windows 95, 98 ME, XP, NT, 2000 compatible. Includes USB connection cable. 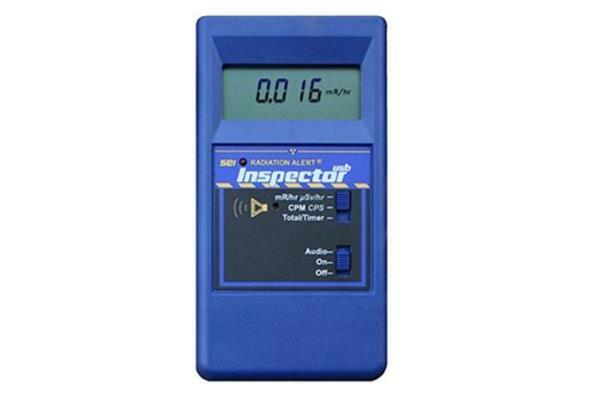 We recommend EMF meters that offer all the basic features with a reasonable price, are simple to use, have easy to read English manuals and/or videos and are sold by trusted sellers. This website is affiliated with the sellers presented, meaning that we earn a commission every time someone buys a meter coming from our website. This does not in any way affect our judgment when choosing the meters to recommend. Those sellers sell also many other meters which we do not recommend because they do not fill our criteria. Please check before you buy if this meter fills all the criteria mentioned here. The frequency range, the measurement span etc. Since we frequently scan the market for new meters it is likely that we have rejected this meter for some reason. In case you find a meter that does tick all the boxes and has a lower price go ahead and buy it! And we would appreciate if you would let us know so we can add it to our catalogue.